Press — Half Door Brewing Co.
Half-Door Brewing Co. is a family-owned Irish-style pub located about one block away from Petco Park in a converted Victorian-style house. The bar brews and serves its own beers and has a wide selection of ales, IPAs, and more. Half-Door Brewing offers a full, hearty brunch with house hash and egg plates. The pub also serves lunch and dinner, with popular items such as their fried goat cheese, sage scotch eggs, white truffle flatbread, and ‘brewer’s pie’ made of stout-braised short rib. There’s no need to follow a Leprechaun somewhere over the rainbow — at least not when a pot of artisanal beer gold can be found at this homey, Irish-owned brewpub, where brewmaster Dan Drayne mixes styles tracing back to his familial homeland with brewing that’s in line with the top-notch craftspeople in America’s Finest City. Located in Downtown San Diego, this family-owned brewery has everything to make you feel at home. The brewery opened their doors one year ago and they’ve created a devout local following. Step inside Half Door Brewing Company and experience early 1900s renovated décor, a wide selection of homebrews and a chicken pot pie made with Half Door’s own pale ale. When you cut into a slice of this inventive spin on pot pie you’ll discover what Half Door chefs know best: Everything is better with beer. The pub also serves fish and chips, brewer’s pie and pretzel bites that are made with Half Door stouts and sours. I love Belgian-style beers, but many of them are often too “Belgian-y” for me, meaning the characteristic esters imparted by the yeast strain tend to overpower the other elements in the beer. Half Door’s blonde, however, strikes just the right balance for me. It’s got plenty of that fruity-and-bready, spicy Belgian-like yeasty character, but it’s tightly wound into a light, crisp, exceptionally food-friendly beer. Stacy and Dan, the masterminds behind our brewpub, made an appearance in Pacific San Diego Magazine's 30(ish) under 30(ish) spotlight. Learn more about our vision, growth and what's to come! "Happy hour just got a little happier thanks to this charming gastropub located in an old Victorian home..."
Assessing the first half of the Class of 2015. 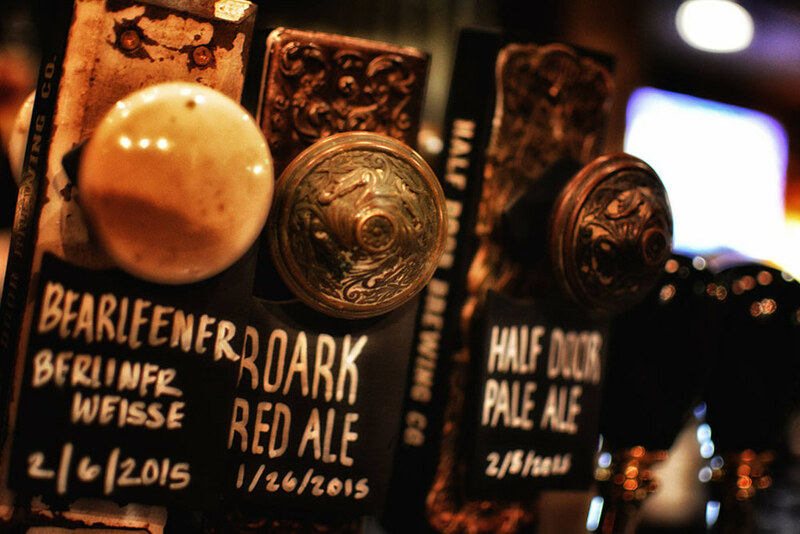 Learn more about Half Door Brewing Company. "Just opened in January, this new brewery and pub (in an old two-story home) is a fine addition to the downtown brewing scene. Brewer Dan Drayne—formerly of Coronado Brewing Company—has an impressive range, which he uses to brew small batches in a constantly changing lineup." 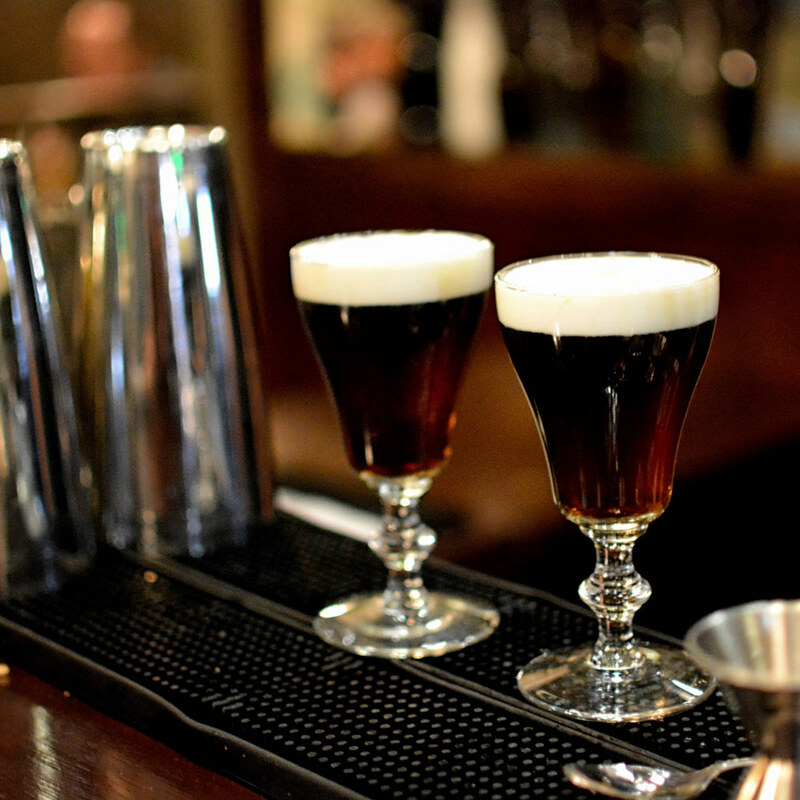 "Situated in a regal Victorian-era building, Stacy and Dan Drayne’s East Village pub that gives a big nod to the Emerald Isle boasts on-site brewed stouts, ales and IPA’s (not to mention delicious comfort food), a stone’s throw from Petco Park." "The East Village's new brewery restaurant serves commendable upscale pub food, from fish and chips with kaffir lime slaw to scotch eggs with a side of horseradish aioli..."
Half Door Brewing Company has been included in the SD Brewing Industry Watch. "Whether it’s the call of the suddenly well-equipped Padres or simply a love of San Diego beer that brings one to this Petco Park-adjacent brewpub, anyone will be able to get behind this tart, slightly creamy, low-alcohol beer. Designed to be refreshing and full of lemony zing, it’s easy-drinking and goes down well from Half Door’s second-story outdoor deck, offering a view of the ballpark and Park at the Park." "10 Hot Plates - San Diego Restaurant Rumors, Openings & Coming-Soons of March ." "[...] somehow, they buckled down and rocked it out. Their reward—and the reward of East Village denizens—is a comfortable brewpub with a healthy buzz and friendly neighborhood feel." "The East Village has a new brewpub, and it's a beaut. Siblings Stacy and Dan Drayne, whose family runs The Field Irish Pub, have branched out with their own Irish-inflected project, which has transformed a 4,000-square-foot 1900s-era building owned by Creative House's Douglas Hamm into Half Door Brewing Co."